One of the clear, constant aspirations I have had for this blog, and my AFOL hobby as a whole, has been the exploration and (re-)discovery of LEGO history. Be it for example through my original Quest for Lion Knights’ castle, the second Quest for Inter-City train, playing with my father’s 1960s LEGO, visiting museums or even ranting about 1990s LEGO, seeing and understanding how LEGO has evolved through the ages has been immensely satisfactory and continues to pique my interest. LEGO over time is like a library of classic books, waiting to be read and re-read. On that note, here is something a little different – my first boxed vintage LEGO acquisition I purchased for gifting purposes. Not exactly mint, but nevertheless it is an unopened 3604 Mark Monkey with his Fruit Stall of 1980 origin. 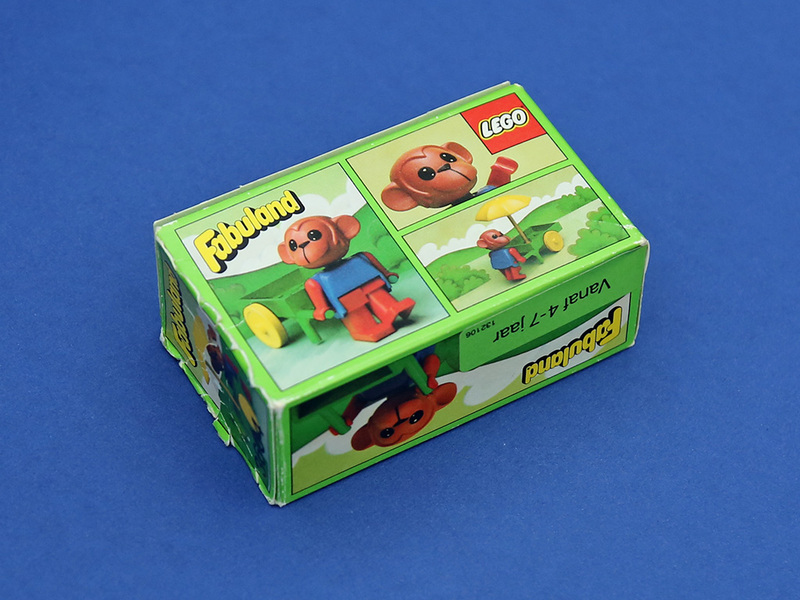 A set from the Fabuland theme, which ran from 1979 to as late as 1989 (pretty much straight through my active KFOL years), it is probably physically newer than 1980, but still something not seen in regular stores for over 20 years. 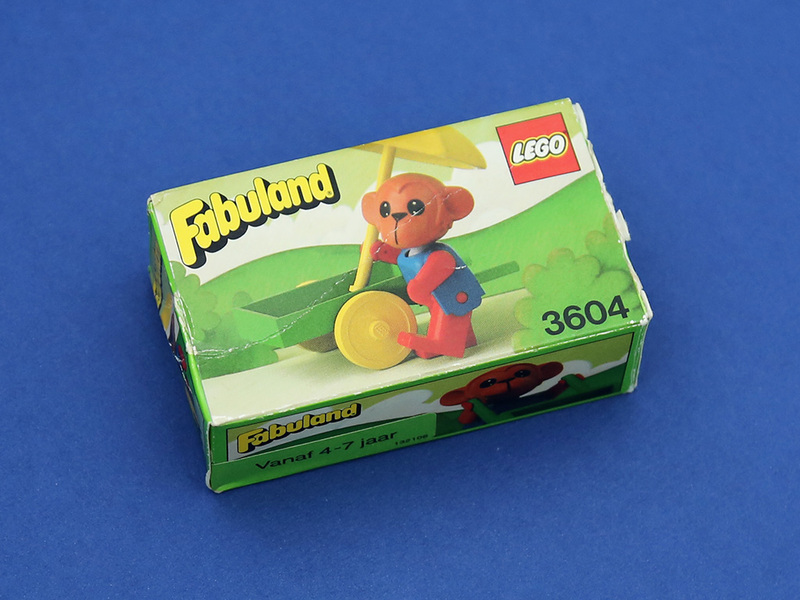 Fabuland was a sort of weird fusion of regular LEGO System and LEGO DUPLO style – the Fabuland figures and modules look much like DUPLO, but mostly use regular-sized LEGO studs instead. Peeron has the instructions for this set in digital form. Fabuland instructions are best described as hand-drawn cartoons, drawn in children’s storybook style with little accompanying text as well. 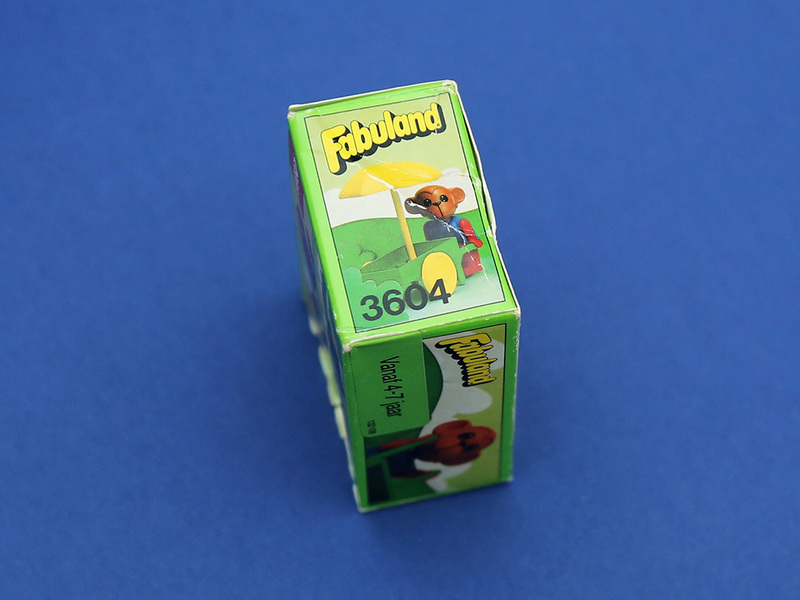 In the larger sets, you can actually see the Fabuland figures building the set itself – as if the instructions booklet was a storybook about the set.